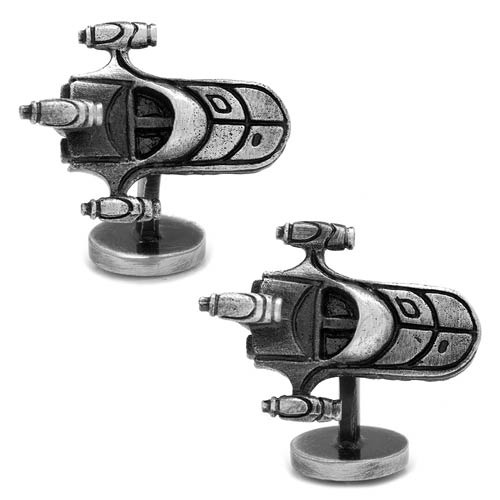 You'll go places when you wear the Star Wars 3D Land Speeder Cufflinks! Constructed of an antique finish silver plated metal and measuring approximately 3/4-inches tall x 3/4-inches wide and complete with a fixed Star Wars logo backing. Officially licensed by Lucasfilm.